Photography is the core of our company, but we also offer a wide variety of specialized digital imaging services for your business needs. Anything from video, to drone technology, graphic design, etc... Please take a look at the different services we provide. Photography is our passion; it's what drives us to achieve excellence and what makes the rest of services possible. With more than 5.000 projects shot with some of the best Real Estate companies and Architects on the planet, we specialize in giving your property that emotional look that captures all the attention . Please check our work and make sure to contact us for a personalized quote. Technology is evolving towards video. 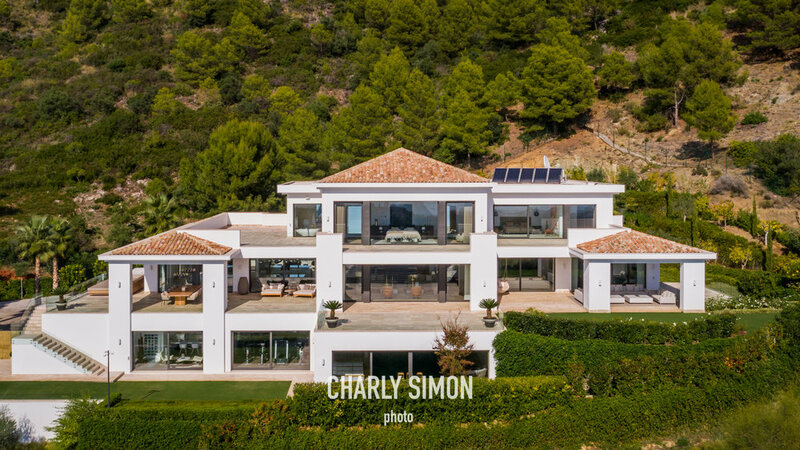 At Charly Simon photo we make sure to offer second to none video production services to ensure our client's property or product shines at its best. Our portfolio includes amazing brands and celebrities that have trusted us for their video needs. Please check our work and make sure to contact us for a personalized quote. When running a business, graphic design is key to success. At some point we all need some corporate branding, photo retouching, advertising design, digital catalogues... If it's in your imagination, we can create it for you. Feel free to ask us for real life examples. Please check our work and make sure to contact us for a personalized quote. Technology plays a great part in our company and Drone technology has been a game changer in the business over the last few years. We provide the highest drone technology in the market, with our top of the line DJI Drones. So whether you need aerial photography or video, we can provide it with the best possible quality. Please check our work and make sure to contact us for a personalized quote. With this latest market-changing service, we make sure Real Estate professionals have all they need to sell a property. Transforming a house so the potential client can see what his future house will look like it's something worth providing. We offer several styles of staging, from classic to contemporary or modern. Choose whichever suits you. Please check our work and make sure to contact us for a personalized quote. With more than 500 luxury events, we make sure your event shines as it should. We have worked for top quality companies like Dani Garcia, Puente Romano or Bentley Motors. Please check our work and make sure to contact us for a personalized quote.